My young daughter has quite the artistic bug…. every chance she gets she wants to be drawing, cutting, painting, or sculpting. When someone asks her what she wants to be when she grows up she says “a painter with a big gallery”. We had a little issue with her last year as she kept showcasing her drawing skills directly onto our living room walls (with red pen, no less!). It was a big mess but still adorable. When we were asked to try out the Wacom Intuos Bluetooth Creative Pen Tablet she immediately popped into mind. I love it when my kids show a genuine interest in things and having a high quality product that’s user-friendly will definitely help her along in her passion. 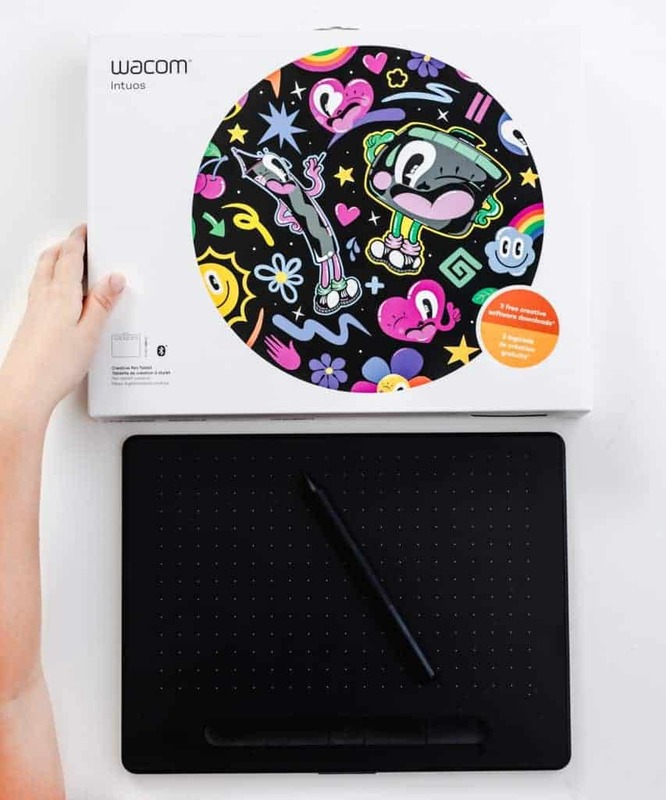 The great thing about the Wacom Intuos is that it’s the perfect drawing tablet for beginners and pros. My daughter had a lot of fun pushing harder or letting up to get thicker or thinner lines. That same pressure sensitivity is also suited for the pros who have sworn by Wacom for years. There are in-fact 4,096 levels of pressure sensitivity which was so helpful and precise for my photo editing. The Wacom Pen 4k that it comes with is cordless and doesn’t need a battery, it just fits into a nib to recharge. 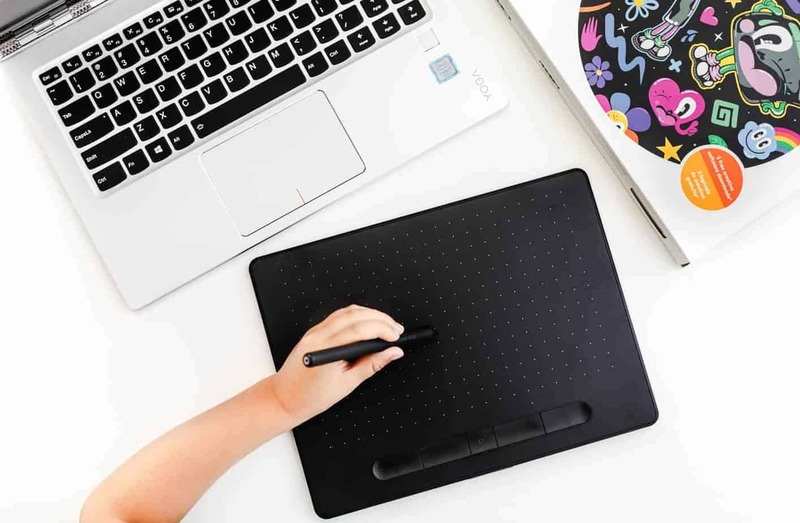 Wacom has different size options out there for their pen tablets and I think this one is solid for most work environments. It has a medium overall size but boasts a large active area… no space is wasted on the tablet itself. My daughter felt very comfortable using it right from the start, I was impressed with her transition. Right now a lot of parents are in a losing battle trying to limit screen time for their kids. We’re doing the same, but make special exception for STEM or artistic programs. If art is my daughter’s passion why non introduce her to as many mediums as possible, including digital? It can be fun and have her completely tapped in to her creative side. My husband is a lefty and there’s a setting to switch to that mode. He was able to toggle back and forth from our Mac and PC with no issue from the wireless Bluetooth. The ExpressKeys feature (for cut, paste, copy and most importantly, undo!!) was probably his favorite as it not only saved time but also kept him from breaking up the continuity of his work and thought process. Corel Painter Essentials (drawing/painting), Corel AfterShot (photo-editing), Clip Studio Paint Pro 2-year license (comic/manga). 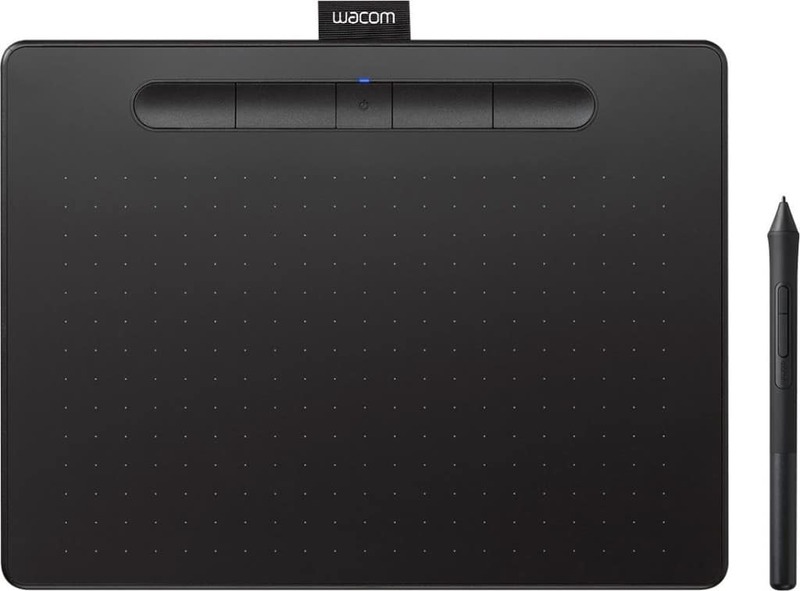 As mentioned, Wacom has been the go-to for artists that use pen tablets for many years. I bought my first Wacom about eight years back while enrolled in a digital arts program. The experience was amazing, I could suddenly use the natural drawing motions of my hand that I had used with pencils and markers since I was young. There was no comparison in the quality of work I was putting out either. 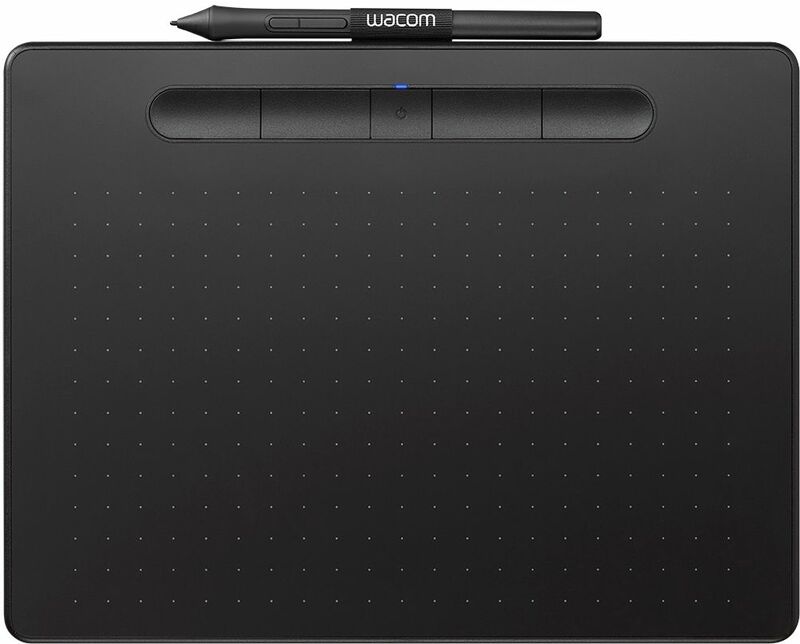 Glad to see Wacom is still putting out the best products. It’s so much fun to experience them with my entire family.